Fear of flying or aviophobia is one of the most common fear or phobias, in fact about 1 in 5 people suffer for flying phobia at some level. For some people it is a distinct phobia in itself and for others it can be a combination of other phobias such as a fear of heights (acrophobia) or a fear of enclosed spaces (claustrophobia). Just because the fear of flying is common, this does not mean that it should be ignored or minimised if you experience such a phobia. A fear of flying can become a major block to travelling and living life to the full in a global world where most people travel extensively for both business and pleasure. 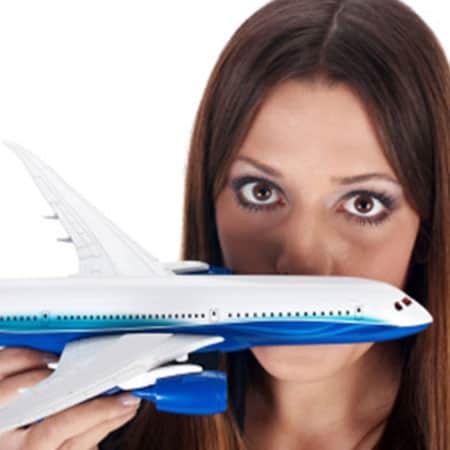 If you find yourself unduly anxious at the thought of getting on a plane, hypnotherapy can help you easily overcome flying phobia and has been proved to be a very effective treatment. Overcoming flying phobias is not permanently achieved by managing fear or anxiety because by doing this you are simply telling yourself that the ‘bad feeling’ is still there and may take over at any time. A more successful and easier way of overcoming the fear of flying is to remove the fear and anxiety altogether by using a combination of NLP and hypnotherapy. Using hypnosis patients are able to confront and overcome their anxiety and fear of flying in the safety of a clinical environment. At Brisbane Hypnosis Clinic our hypnotherapists have been helping clients overcome flying phobias for more that 20 years and we have the experience and expertise to help you fly as comfortably and confidently as possible using hypnotherapy, NLP and creative visualisation. We all know at a logical level that flying is statistically the safest method of travel but for some of us anxiety takes over at the thought of boarding a plane. This is an automatic and emotional response which like all fears and phobias is triggered by the subconscious mind. Because this response is not logical, no amount of logic successfully overcomes a fear of flying. However, hypnosis addresses the subconscious mind, the part of the mind that produces anxiety, fear and panic and can be used to make flying seem uneventful or even pleasurable again. If you experience a fear of flying, you can enjoy travel whether for work or pleasure, simply give us a call at Brisbane Hypnosis Clinic and we’ll be happy to answer any questions you have about hypnotherapy, the fear of flying and how you can confidently overcome this anxiety. Wondering if you can pass on to Glen that I have been fine flying. He and my excellent personal work myself!!! has changed the way I deal with fear. I am, I would say 99% better with flying… it has been a great comfort to me and when I start to feel panicky I can pop myself into a nice trance and cope. 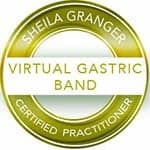 I say great things about your practice. “I am just writing to say thank you thank you thank you!!! I survived my flight to FIJI and back (into a cyclone no less!) without one single white knuckle moment!! You can’t begin to imagine how awesome that feels!! Thank you so very much!! I only wish I’d been to see you sooner!!! If you have questions or would like more information about how we can help you fly without undue anxiety or stress, please call us on 07 3254 1373, email appointments@brisbanehypnosisclinic.com.au or simply fill in the form below.